It’s late on a Friday night. Hundreds of people are couch- and Netflix-bound and hungry. In a search for sustenance, Toppers Pizza emerges as their beacon of hope, and a pie loaded with ranch sauce, mozzarella cheese, tater tots, bacon and green onions appears at their doorsteps to provide salvation. But in between those bites of life-saving pizza, do people ever have one of those existential moments and wonder where it all came from? That’s where Donette Beattie comes in. She’s Toppers Pizza’s new vice president of supply chain, and she’s ready to make sure customers are getting the tastiest and highest-quality ingredients possible. For more than 30 years, the food world has been Beattie’s way of life. Armed with a degree in nutrition and food science, her plans to become a dietitian were pleasantly derailed when she stumbled into the restaurant industry. Over the years, she worked her way through the business, first with Sysco Food Services, and then onward to Country Kitchen International, where she served as the vice president of purchasing and product development. Culver’s and Steak ‘n’ Shake came next, and it was at these two franchises that she honed her skills as vice president of supply chain. Then in January 2016, she decided to make her first foray into the world of pizza, joining the team at Toppers Pizza. “I didn’t have background in the pizza industry, but for me, that was the allure—to work in a category that’s new. I really wanted to be a part of the fun of selling in the pizza business and no one is more fun than Toppers,” Beattie said. But Beattie didn’t want to be a part of just any pizza restaurant—she wanted to join a concept that could truly shine in a competitive industry that’s becoming increasingly saturated. Toppers was a breath of fresh air for Beattie, and ultimately, it was the brand’s core values that really helped make her decision. The basic—yet admirable—principles of integrity, passion and fun resonated with her, and she was mesmerized by Toppers’ simple and earnest guiding ideologies. Since starting in January 2016, Beattie is already teeming with creative ideas that she hopes will inject Toppers’ five-star system with even more synergy, energy and passion. And in a tribute to her roots, her work starts with nutrition. One of Toppers’ core values has always been to give the customers what they want—and Beattie knows that customers are increasingly asking about allergens and food ingredients. That’s why, in an era where food transparency has become increasingly important, Beattie is helping Toppers assess their nutrition and ingredient information in preparation of looming modifications to food labeling laws. Putting continued care into detailing Toppers’ ingredients is just the beginning of her job. In addition, Beattie will be reviewing all suppliers for food safety process and protocol. “When I came onboard, I realized just how important safety and discipline matters to Toppers when it comes to where its food comes from. My job now is to make sure that we as a company are continuing to do everything in our power to make sure we’re upholding that promise to our customers—that our products are always sourced from a safe place with impeccable business practices,” she said. And when it comes to having a little bit of fun with the food itself, Beattie has that part covered, too. Another key focus as the vice president of supply chain is to boost culinary innovation—something the brand is already quite familiar with, as evidenced by its variety of Topperstix and unconventional pizza toppings. Beattie hopes to bring her enthusiasm and many years of product development experience to the innovation team. In the end, it’ll further solidify Toppers’ mission to be a fearless and cutting-edge brand. Capitalizing on the booming better pizza category and fueled by the passion of Founder & President Scott Gittrich and a team of experienced industry veterans, Toppers Pizza has formulated the perfect recipe to appeal to both pizza enthusiasts and savvy investors. Headquartered in Wisconsin, Toppers is one of the fastest growing better-pizza chains in the United States. The brand has doubled in size over the last three years and completely sold out three states based on growth spurred by both existing franchisees and established multi-unit operators. Now with restaurants in 12 states and with territories immediately available across the country, Toppers plans to reach 700 stores in the U.S. within 10 years. 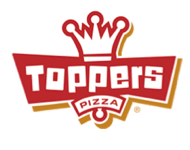 Toppers is committed to quality and consistency throughout the system, and plans to maintain corporate ownership of 25 percent of all locations while the brand expands to continuously improve on best practices and product development. Toppers fanatics love the brand’s fresh, handmade and customizable pizza baked in about 360 seconds and delivered extremely fast, with more than a million combinations of fresh, high quality toppings, and the brand’s signature line of flavored Topperstix and baked Buffalo wings. In 2014, Entrepreneur Magazine ranked Toppers as one of the top 500 franchises in the U.S and QSR Magazine listed the company as one of the year’s Best Franchise Deals. For more information on how to join the rapidly growing Toppers family and for a sneak peek into the Toppers experience, visit http://www.toppersfranchise.com/.